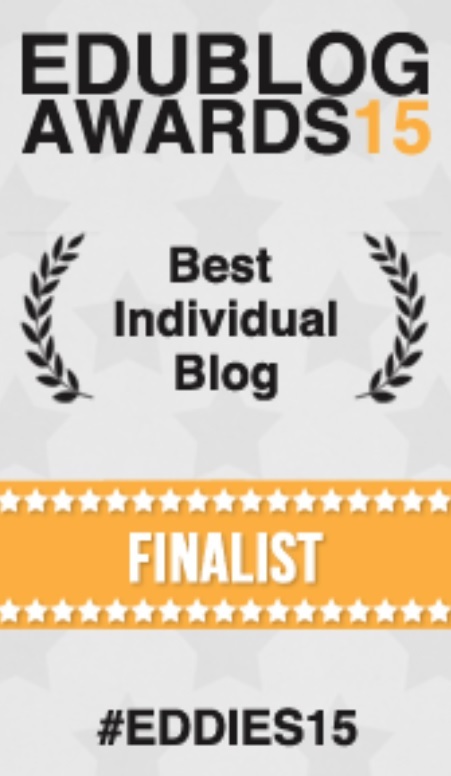 As I crawl over the finish line of the school year in Australia, I’ve had the lovely news that this blog has been nominated for the ‘Best Individual Blog’ edublog award in 2015. I am grateful for the nomination, and if you fancy voting for me or anyone else, you can vote here. As I’ve reflected on this nomination, I’ve been wondering about my choices as a learner and blogger. This week, as part of our end-of-year staff planning and PD days, four hours was set aside for an activity, self-chosen from a list of options, in which we would experience being a novice learner. This was followed by reflections on that experience and its possibilities for learning and assessment in our classrooms. Options included Zumba, water skiing, life drawing, ukulele making, tennis, coding and stage combat. It was interesting to see the criteria people used to make their choice. Some chose something they knew they were good at, based on personal criteria of having fun and achieving success, at a time of year when many are tired and emotionally vulnerable. Some chose something that would really challenge them and during which they would feel the discomfort of the novice learner, putting themselves in the position many of our students are in every day. I was somewhere in the middle. With a Fine Art degree, I’ve done my share of drawing, so I didn’t choose that, an activity in which I would feel quite at home. But I also didn’t choose something like stage combat, which I thought might be a really great challenge, but in which I had the equal possibility of being exhilarated by conquering the task, or feeling frustration, discomfort and disappointment (or both!). In making my decision, I considered the school’s intentions and instructions, as well as my own emotional wellbeing and what it was I wanted to achieve from the day. It reminded me that each of my students enters my class in a particular internal place, of which I might not be aware. 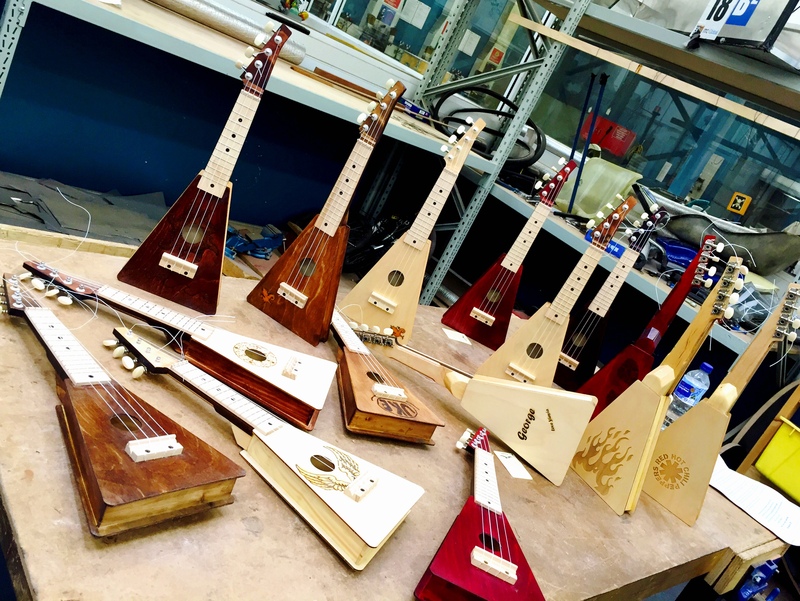 I self-selected the ukulele making challenge. I figured this was both fun and something I hadn’t done before. Despite my comfort with discomfort as a place of learning and transformation, it was a safe choice. And I kind of wanted a ukulele, so I was seduced by the possibility of having a product at the end. There also seemed something lyrical about the uke itself, played as it is by Hawaiian musicians such as Israel Kamakawiwo`ole (hear his beautiful rendition of ‘Over the Rainbow’ here). As it turns out, this activity was an opportunity to work with people from across the school, many of whom I don’t often get the chance to work with or learn from. It was a wonderful chance to be ‘in flow’ in a workshop, gluing sanding, designing, decorating. I experienced firsthand why my students might want to stay in the woodwork workshop rather than packing away to come to my English class! It reminded me of our Year 10 English Term 4 unit, in which there are no marks or grades; both teacher and student were liberated from measuring success and failure. It was really up to the learners to decide how hard they wanted to work, how important the task was to them and what level of challenge was appropriate for them. Many, including our colleague who was our teacher for the day, worked through their lunchbreak. As well as intrinsic motivation, there was plenty of interdependence, as colleagues sought each other out for help and collaborative learning along the way. Barely any of us used the written instructions as our preferred way of learning. What I loved was the way that, even though we all started with the same Wolfelele kit, the resultant products bore the marks and personalities of their makers. With this blog I also make choices about the marks I make, the stories I share, and the things I choose to leave off or leave out. While this blog isn’t quite my highlight reel, I do tend to privilege positive stories, rather than those times in which I am feeling stuck or vulnerable. The more uncomfortable posts tend to be around intellectual disequilibrirum (a word I’m borrowing from Costa and Garmston). There is interdepence, too, in the way many posts are inspired by, or in conversation with, others. The #Eddies15 edublog nomination is affirming, in that it reflects that the writing I send out into the blogosphere touches someone somewhere. I’m also aware that, like any text, it presents versions of reality, time-frozen snapshots. It reflects my choices, my self as an author, my connections with others in the blogging community, and my state of self at ay given moment. Postscript: This blog was voted fourth best individual blog in the 2015 edublog awards. You can see the winners list here. 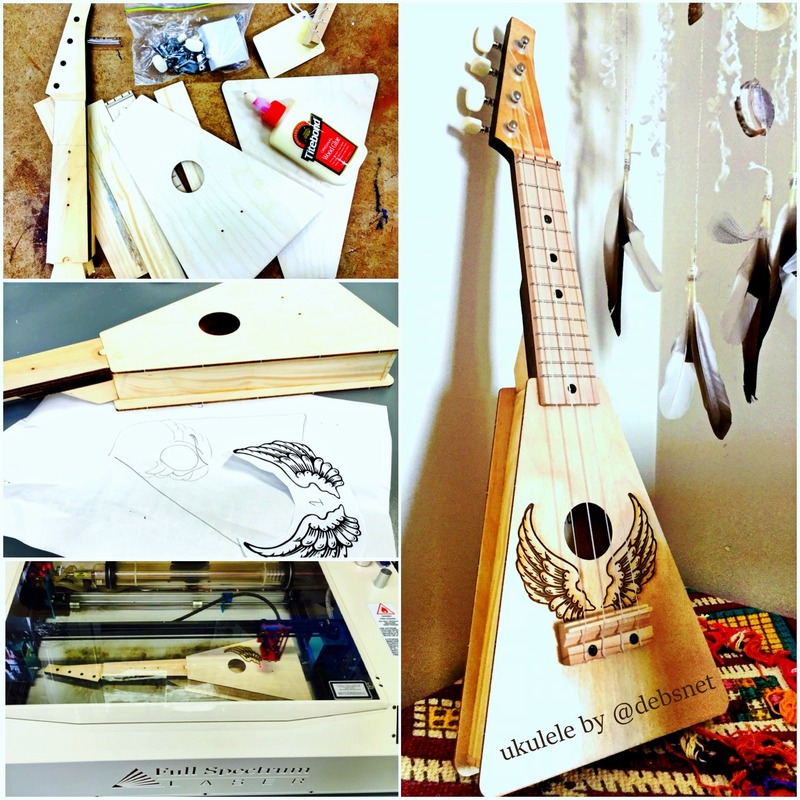 This entry was posted in Social Media, Writing and tagged #Eddies15, blogging, CPD, edublog awards, learning, professional development, ukulele, Wolfelele by Dr Deborah M. Netolicky. Bookmark the permalink.